Mavrx uses aerial imagery collected by our network of planes, UAVs and satellites, and machine learning to enable the global agriculture industry and growers to manage their crops more efficiently. Our platform maximizes crop yields while reducing spending on irrigation, fertilizer and labor. We are looking for a Geospatial Data Scientist to join the product development team. The candidate will learn about a variety of agronomic and geospatial problems and create high quality data products. We work cooperatively with different teams across science, engineering, and product to help global agriculture industry and growers to manage their crops more efficiently. To do so we leverage various sources of remotely sensed imagery and field data along with other relevant point, vector, and raster data. We are looking for data scientist with experience in remote sensing image processing, data analytics, and an appetite for working on agronomic problems. Experience in managing and manipulating large, complex datasets. At Mavrx, we’re harnessing the power of imaging to drive the next revolution in resource management—at a planetary scale. Our goal: Improve the efficiency of the global agriculture industry, using the power of imaging and spatial analysis. We take the pulse of agricultural lands across the planet with satellites, UAVs, sensors, and aircraft, use computer vision and machine learning technologies to process and filter that data, and deliver actionable awareness to the people who need it most. The result: Meaningful information is produced—information that changes how people interact with and understand their land and their work. We predict changes and help prescribe solutions, propelling growers into the next era of resource management while having a net-positive impact on the process of food production and land management. Headquartered in San Francisco, we currently operate in the U.S. and internationally. Want to get notified about new jobs at Mavrx Inc.? 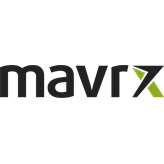 Geospatial Data Scientist at Mavrx Inc.